I absolutely love working with companies that have a vision for helping others. Companies that provide excellent products, but additionally have a mission in mind to make the world a better place. 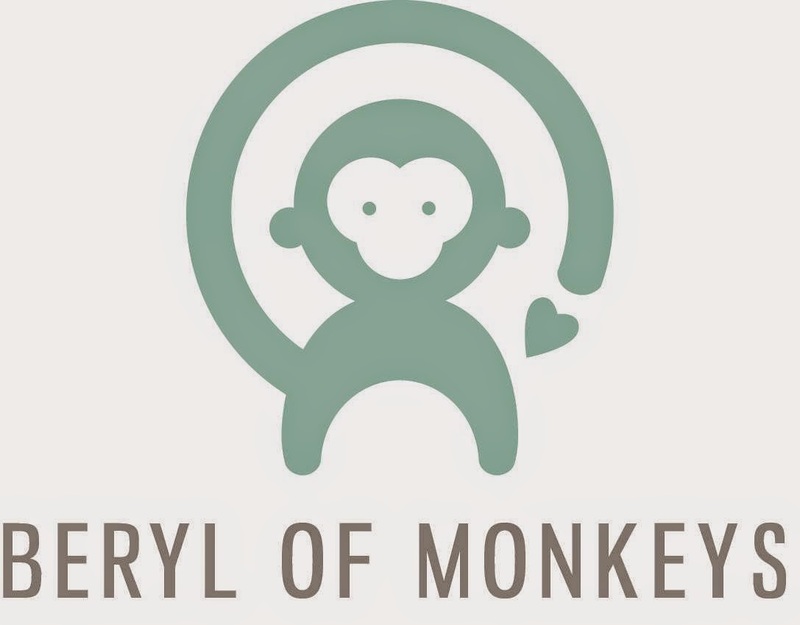 Based in Chicago, A Beryl of Monkeys is one of these great companies. Founded by Simone Michael Richardson, a stay at home mother, Simone sought to find quality organic cotton pajamas and was not able to find any under $80 a pair. We know how quickly babies outgrown their clothes, and most of us just can't handle that kind of price. Beryl of Monkeys has designed infant onesies, toddler pajamas and newborn sets ranging from from newborn to 5T size, in a reasonable price range. The pajamas are made of 100% soft, organic indian cotton. The pajamas are light weight for use in all season. We tried these in cold Kentucky winter and my daughter was nice and warm. Because of their breathability I wouldn't hesitate to put them on her in the warmer months either. Made with non toxic dyes, and no harmful chemicals. They are hypoallergenic, soft, strong and resilient. This gender neutral design Todd has the logo monkey pattern throughout the pajamas. Too cute! Made in India of 100% organic Indian cotton. The cotton is ethically sourced, not employing child labors and offering guaranteed fair wages.. So important! Footie grips to keep littles safe and stable. True to size, this is a 3-6 month size on my 2 month old. She has room to grow for sure. This is already one of our favorites. Be sure to check out the other custom designed prints at Beryl of Monkeys!